Leading Manufacturer of car massage pillow, car inflatable bed, neck shoulder and back massager cervical belt machine, car inflatable bed bigger and pillow massager from Faridabad. Car Electronic Massage Pillow Massager Cushion Car Lumbar Neck Back Shoulder Heat Pillow Deep Kneading Massager Relax Pain Back Pillow for Car Home Office Massager Features: 4 Deep-Kneading Massage Nodes help relax and relieve muscle tightness. Equipped with Overheat Protection Device & programmed with 20-minute Auto Shut-Off to ensure safety. Ergonomic design with a 6-cm ultra slim body is perfect to use on lower & upper-back, neck, abdomen, calf, and thigh areas. Adjustable Strap secures the cushion to your favorite chair. 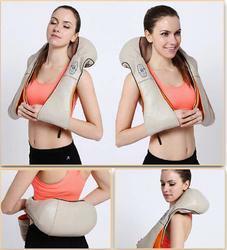 Better quality and more durable than other massage pillows / cushions on the market. Specifications: 4 soft, springy massage balls With heating function when the pillow is positive moving Massage head can be directed clockwise or counter-clockwise as you prefer Built-in over-heating prevention mechanism Designed with line-controller ON/OFF to start the machine Designed to massage acupuncture points in the neck Portable and easy to operate 12V DC power supply makes it safe in the home or car Automatic timer: automatically powers down after each cycle (15 minutes) Combination of kneading and pinching Automatic transfer Clockwise and Counter clockwise (1 minute) Easy to Massage Type: Thermotherapy, Magnetic Therapy Material: PU Leather & Mesh Massage Parts: Neck, Back, Waist, Legs, Buttocks Appearance Shape: Bone-shaped/ Butterfly Massage: Kneading massager Control Method: Mechanical AC adapter: AC 100-240V, 50-60Hz(input), DC 12V 2A(output) DC Input Voltage: 12V AC Input Current: 1.5-2.0A Rating Power: 20W Size: Approx. 31cm x 18cm x 8.5cm/ 12.20" x 7.09" x 3.35" AC Adapter Cable Length: Approx. 140cm/ 55.12" Cigarette Lighter Cable Length: Approx.130cm/ 51.12" Package Included: 1 x Electric Massage Pillow 1 x Car Cigarette Lighter 1 x US Plug Adapter 1 x User Manual Relieve pain due to chronic blood circulation problems. Relieve shoulder pain due to stiff neck during sleep. Car Inflatable Bed For Suv Durability and Comfort : The Air bed is made of high quality PVC, sleek black flocked Material.The surface feels like soft feather, transforms your car back seat into a comfortable and luxurious bed. 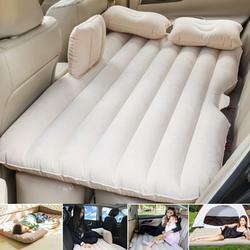 Inflatable Travel Car Bed Lifesaver and Romatical : For an air mattress good lying comfort,this car mattress was a lifesaver for a long car trip for kids and partent, or create more room for romantic intimate motion in car. Car Bed Air Super Bearing Capacity :The Inflatable Mattress overall load-bearing capacity of up to 150kg, Which allows 2 adults,and will be a great addition for your need. 8 MASSAGE NODES - Ophanie neck and back massager features 4 big massage nodes and 4 small massage nodes, which provide you with thorough and deep massages. They work together to relieve muscle tightness and chronic pains on your neck, back, shoulders, and legs. 2 MASSAGE DIRECTIONS - Bi-directional massage, clockwise and counterclockwise rotation, auto-reverse each minute, which offers you a better massaging experience. Massage directions also can be changed manually with one button. HEAT MASSAGE THERAPY - Massager with heat, provide soothing heat therapy for the muscles to effectively release muscle tension and tiredness and help to promote blood circulation. The heat function can be shut down manually with one button. FULL BODY MASSAGE - U-shaped design, our massager can be your neck massager, back massager, shoulder massager, leg massager, or arm massager, giving you a full body massage. 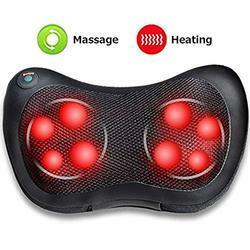 Built-in overheating protection enables the massager to automatically shut down after 15 minutes. PORTABLE MASSAGER - Perfect for home, office, and car. Both AC adapter (110-220V AC to 12V DC) and car adapter are included in massager package. NOTE: It’s NOT a chargeable device and contains NO battery. This massager must be plugged in to be used. Honda City Car Accessories - Material: Double-side brushed fabric, absorb sweat and skin friendly. With thicken safe PVC, wear-resistant and care your health. Inflatable Mattress For Car - Multifunctional: Foldable and with excellent load-bearing capacity , inflated by car cigarette lighter. Maximum size 64.5x52 inch, 8 parts inflatable independently (please refer to images), satisfy different models, situations and needs. Save your money and time! There are size reference in the second image. Car Accessories Swift Dzire - Honeycomb support design, just suitable softness, even pressure distribution, make you not tired of long sleep and travel. Anti-leakage design: Double air nozzle. And with sealed anti-reverse nozzle, it will not bulge when you lying in. 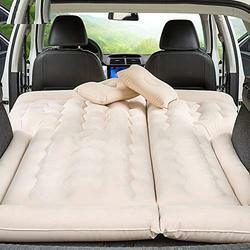 Car Back Seat Mattress - Wide Usage and Save Money: Common use in any mainstream models of SUV and mini Van; outdoors and home, camping, travel, beach chair and swimming pool. Car Accessories Dzire - Package: One air mattress, two pillows, one air pump, one small repair kit and one manual in a paper box. 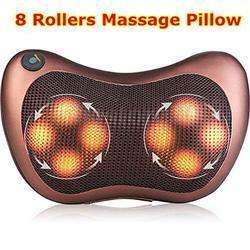 Looking for pillow massager ?